Working as circulator transit for office parks, airports, universities and other major activity centers, ULTra provides a congestion free mode of transport. making carpooling, VTA bus, and Apple private bus more effective. ULTra also complements shuttle buses that connect to Sunnyvale Caltrain. 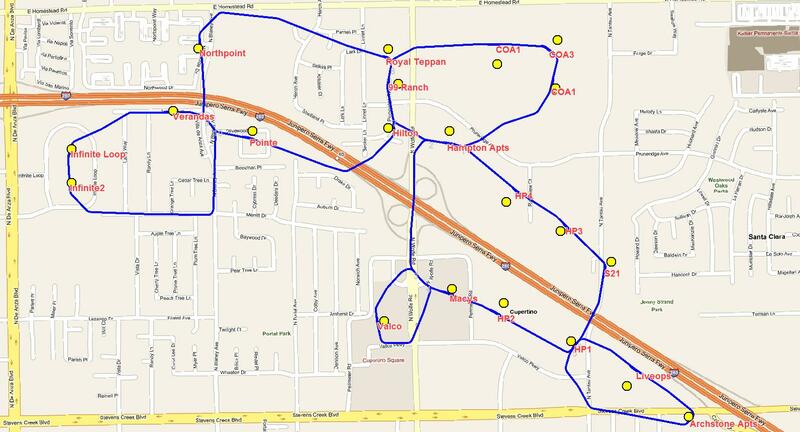 PRT allows optimization and speed-up of VTA, Apple, and shuttle bus routes. PRT also enables longer bike commutes and shopping trips. iPhone apps can help glue all the green transportation options together. The PRT system should be part of VTA’s transit system, with seamless fare box/fare gate integration. The PRT system goes somewhat beyond (the late) Steve Jobs’ green vision for City of Apple , because PRT greens a larger area. For short Cupertino trips, ULTra is faster than a car. A rough sketch of the Cupertino PRT system. The PRT system would provide car-free access for apartment residents to some interesting places: super market, movies, coffee, noodle houses, brew pubs, etc. The system could be expanded over time to get folks to other interesting destinations (Kaiser, etc). 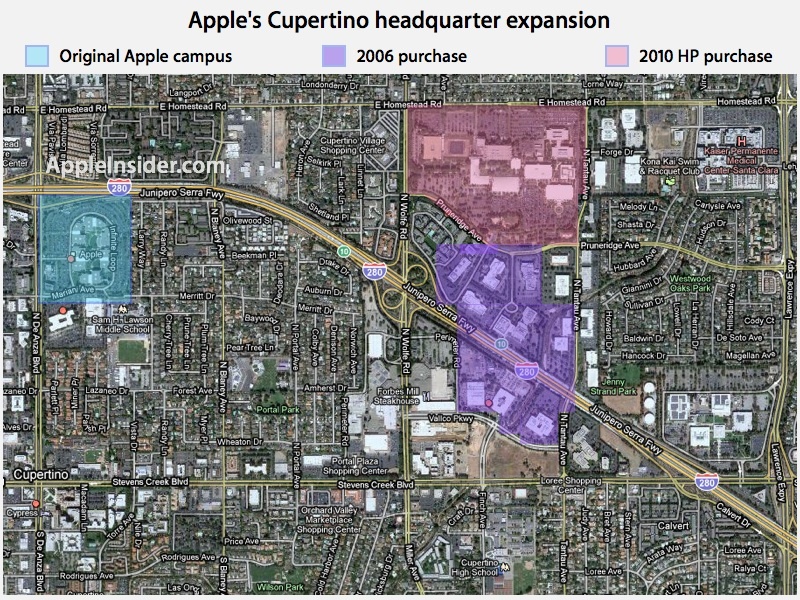 Cupertino housing will become even more compelling locations for workers. Two-car households can cut back to one car (coupled with PRT and carsharing). Connect COA to Infinite Loop by along the side of Highway 280. As shown in the sketch alignment, connect COA to Infinite Loop by serving the apartments in-between (Pointe, Verandas, and Northpoint). This is the shortest connection and would require innovative architecture for the guideway to best blend with the residential neighborhoods. This alignment would require extensive iteration with local stakeholders. 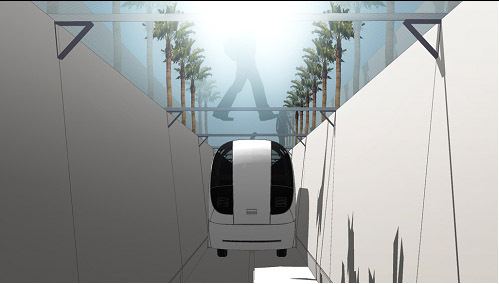 See the guideway design page for examples of innovative guideway architecture. Thanks to Brad T for help in brainstorming.